Jeff began his research of Trumpeter Swans in 1983 while conducting waterfowl research in southeast Idaho, USA. 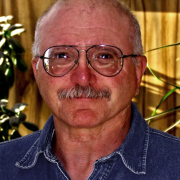 From 1984 – 1991 he conducted his master’s research on the wintering and foraging ecology of Trumpeters in their primary wintering ground within the Yellowstone Ecosystem. Upon completion of his Ph.D. degree and moving to Western Oregon University in 2007, he initiated a series of collaborative Trumpeter swan ecological research projects that still continue. These projects range from winter habitat monitoring, swan family group behavior, and cygnet survivorship, to egg temperature/incubation behavior, and swan migratory ecology. Carl D. Mitchell has worked with Trumpeter Swans since 1984. 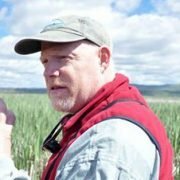 As a biologist for the U.S. Department of the Interior, he surveyed, managed and studied Trumpeter Swans in Wyoming, Montana, Idaho and Alaska. 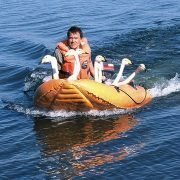 He wrote the Birds of North America (http://bna.birds.cornell.edu/bna) account on Trumpeter Swans in 1994, and co-authored a 2010 update. He retired from the U.S. Fish and Wildlife Service in 2011 and continues to work on Trumpeter Swan management and field research in the Greater Yellowstone Ecosystem. He is the former North American Coordinator for the SSG, and currently Editor of the Swan Specialist Group Newsletter. 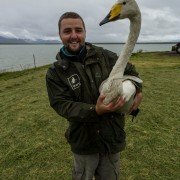 Kane’s main interest is in Icelandic Whooper Swans and he has been fortunate enough to assist with work being carried out on this species both in Iceland and in the UK. 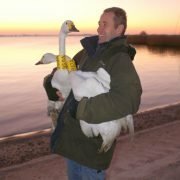 He also takes a keen interest in Bewick’s Swans and through his work at WWT, assists with the capture and ringing of both species as part of WWT’s long term swan life-history studies. Kane is also involved in the Goose & Swan Monitoring Programme which monitors the abundance and breeding success of the UK’s native geese and migratory swans during the non-breeding season. 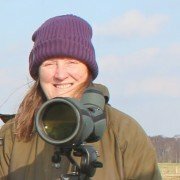 Julia has been responsible for WWT’s long-term study of the Bewick’s swans at Slimbridge since 2004 and actively promotes swan conservation work in national and international media. 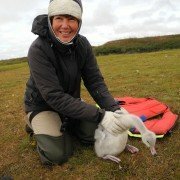 She has been fortunate enough to have participated in numerous international fieldwork expeditions to study Bewick’s and Whooper Swans on their breeding grounds in the Russian Arctic and Iceland. 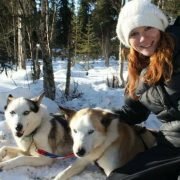 Her current research interests focus on using multi-disciplinary approaches to understand and inform the management of conservation conflicts. Most recently this has involved undertaking research, advocacy and policy work for issues, such as lead poisoning and illegal hunting, that affect wetland species of conservation concern. Nathan joined WWT as a volunteer Research Assistant where he helped to gather data for a meta-analysis investigating drivers of waterbird aggression. 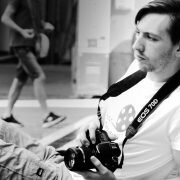 He currently helps develop and upload content for the SSG website. 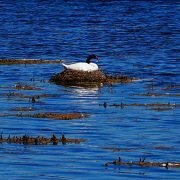 Diana has been working with the eastern Bewick’s Swan population in the Arctic Siberian tundra since 1990. Her major topics of interest are breeding biology, climate effect on density and productivity, time budgets and migration ties. Species overlap with the Tundra Swan in parts of eastern Russia is a particular focus. As a young farmer’s son, I saw the first Bewick’s swans arrive in our Wieringermeer polder, in the northwest part of the Netherlands, during the severe snowy winter of 1978/79. Since then I’ve become fascinated by these ‘snowflakes’ from the Russian arctic. I specialise in farmland birds and am involved in research into these species, particularly waders, geese and swans. I also work as coordinator for a Dutch provincial Nature Organisation, liaising with volunteers and farmers, for the protection of farmland birds in the North-Holland province. My reading of colour rings on Bewick’s Swans commenced in 1989, and this has extended to visiting and monitoring key wintering sites for the NW European population in different parts of Europe. Since 1995, I have visited southeast England each winter, to read Bewick’s Swan rings on the Ouse Washes, and more recently to participate in the “Swan Festival” at WWT Welney. Involvement in Bewick’s swan research was first stimulated by Dutchman Trinus Haitjema, and maintained by the Netherlands Institute of Ecology (NIOO). I have also produced a monthly Newsletter (in Dutch!) since 2000 on Bewick’s swans migrating and wintering in the Netherlands, and co-organised the annual International Bewick’s Swan Age Counts together with Jan Beekman since 2010. This voluntary “job” will continue in collaboration with Kees Koffijberg of Sovon Vogelonderzoek Nederlands (i.e. the Dutch Centre for Field Ornithology) from 2018 onwards. 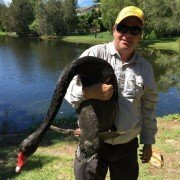 Jon has worked with swans all his life, from childhood helping with research on Mute swans in the English Midlands and through University studying Mute Swans in Northern England for his Ph.D. On leaving the UK to live and work in Australia Jon now studies Black Swans in south east Queensland, studying their breeding behaviour and movements. Yerko works in the Veterinary School of the Universidad Santo Tomas, Santiago, Chile, where he studies the population ecology and conservation of Black-necked Swans and Coscoroba Swans in Central Chile. Research topics include investigation of Black-necked Swan numbers in relation to the occurrence of the El Niño – Southern Oscillation (ENSO) and resulting conditions (particularly water levels) at internationally important breeding sites, such as the El Yali wetland, which is a Ramsar site. Other research interests include the sites/habitats used by Coscoroba Swans in South America. Coscoroba Swans have traditionally inhabited the Austral region of Chile, but started colonising the Mediterranean wetlands of Central Chile about 35 years ago, where their numbers are increasing. Yerko recorded this species at the El Yali wetland for the first time in 1989. Mute Swan: breeding ecology-annual monitoring of the breeding population (50-60 pairs) since 1996, behavioural studies (breeding season, pre-laying period, parental duties), ringing (in years 2000-2010: moulting birds, annually: breeding pairs with cygnets-ca. 50 birds per year), individual life history traits (based on data from ringed birds) and avian influenza (AI) in swans (collection of samples). Whooper Swan: ringing of breeders at the edge of species home range (2 pairs within the study area). Bewick’s Swan: time-budget analysis at stopover sites during spring and autumn migration. 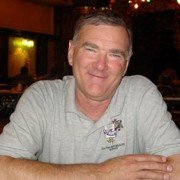 John has had a long career with the U.S. Fish and Wildlife Service as a Refuge Biologist prior to accepting the role of Regional Migratory Bird Program Chief, a position he held for 20 years. 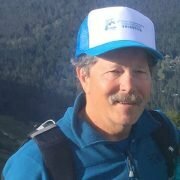 John has extensive experience in Trumpeter Swan ecology and management and is currently a Senior Conservation Advisor with the Trumpeter Swan Society. Craig has been a Research Wildlife Biologist at the US Geological Survey (USGS), Alaska Science Centre, since 1988. 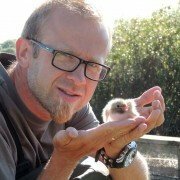 He has been involved in projects on a variety of waterbirds, with a focus in recent years on threats to these species ranging from parasitic loading to blood lead concentrations, avian influenza and storm-surge flooding. Work on swans includes studies on the behaviour, health, migration strategies and population dynamics of Tundra Swan, with satellite-tracking (PTT) technology used to determine differences in the migratory patterns and winter distribution of Tundra Swans breeding across Alaska. Results of these studies also provide information on genetic differentiation and the movement of avian influenza viruses within and between populations. 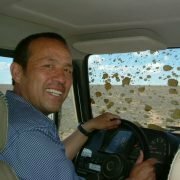 Prof. Ma Ming of the Xinjiang Institute of Ecology and Geography, Chinese Academy of Sciences, Xinjiang, China and has undertaken research into the ecology of birds and other animals since 1985, including on the ecology and fauna of arid lands. From 1987-1992, he took part in two nationally important programmes in the Karakorum and Kunlun Mountains (North of Tibet), and the Taklimakan Desert, which were supported by the National Natural Science Foundation of China (NSFC) and the Chinese Academy of Sciences. From 1991–2004 he was responsible for projects regarding the protection of swans, storks, falcons, snowcocks and ground-jays, and the swan programme was awarded the prize of the Xinjiang Science and Technology Progress Committee in 1996. Ma Ming has published about 90 science articles and six books on birds. His book entitled “Swans in China” has been translated from Chinese into English. In addition to serving as Whooper/Mute Swan (Eastern Population) Species Coordinator of the Wetlands International/IUCN-SSC Swan Specialist Group since 1996, Ma Ming is a member of the Oriental Bird Club (OBC), a Council Member of the China Ornithological Society, a Council Member of the Xinjiang Zoological Society, a Council Member of the China Society on Tibet Plateau, and a member of the Scientific Committee of the Xinjiang Institute of Ecology and Geography Research, Chinese Academy of Sciences. He has visited many countries to develop collaborative research projects and to facilitate communication. Ólafur has been involved in Whooper Swan research in Iceland since the late 1980s, when he embarked on his Ph.D. studies and gained his doctoral degree from Bristol University in 1997 for a thesis entitled “Breeding biology of the Whooper Swan and factors affecting its breeding success, with notes on its social dynamics and life cycle in the wintering range”. Following several years working at the Icelandic Institute for Natural History he moved into teaching, but remains actively involved in Whooper Swan fieldwork, including undertaking spring nest checks at his main study site of Skagafjörður (northern Iceland) in spring, followed-up by surveys to record brood sizes and numbers in moulting flocks each August. Ólafur is also responsible for organising the Icelandic Whooper Swan counts for the 5-yearly international censuses of migratory swans in NW Europe. Preben is senior scientist at Department of Bioscience, Aarhus University, Denmark. He is national coordinator for the International Waterbird Census, and responsible for data processing and national reporting of swans, brent geese and dabbling ducks. His PhD thesis “Waterfowl as primary consumers in shallow water fiord areas“ primarily dealt with the brent goose-Zostera association, but he has later worked with mute swans grazing in Potamogeton-Ruppia-Chara-Zostera beds, with whooper swans in the agricultural landscapes in Denmark, and with Bewick’s swans feeding on Chara and Zostera in the White Sea, Russia. A major interest is the negative influences of eutrophication on water plant communities, and associated impacts on the guild of herbivorous waterfowl in Danish estuaries and lagoons. He has been involved with the African-Eurasian Waterbirds Agreement (AEWA) on a regular basis since 2002. He served as appointed Expert in Game Management in the Technical Committee of AEWA in 2002-2009. 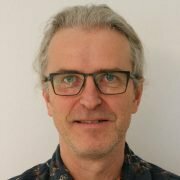 He is now scientific advisor to the Danish Ministry of Environment in AEWA matters, supporting national reporting, member of delegations to Meeting of Parties, and involvement in Single Species Actions Plans, including the one for Bewick’s Swan.